Our process is simple but deep: we start by identifying the “stretch” or thematic aspiration for each layer, and then contrast that with your current state. Much like Russian dolls that are nested within each other, an individual’s maturity, skills, and readiness impact the leadership team, which in turn facilitates and/or limits what the organization can achieve. To keep your company continuing to achieve its goals means developing all aspects of your organization in an integrated, intentional way, especially during rapid change or growth. Our program becomes a way to further strengthen alignment, wisdom, and connection while the team achieves its stretch goals. Participants get data on their leadership via either (a) structured conversations with their stakeholders and/or (b) 360-degree feedback tools that integrate leading research from the fields of leadership, psychology, and adult development. Through this discovery process participants grow their strategic awareness and enhance their relationships, and the data and check-in conversations allow participants to see how their individual and collective leadership is being experienced over time by their key collaborators. The heart of our program is facilitating leadership wisdom and mastery via greater self-awareness. Participants translate the data collected from prior peer conversations to map how their productive and counter-productive behaviours are driven by their beliefs and habits. Sharing this with your teammates builds trust, illuminates blind spots, and lays the groundwork for more conscious leadership individually and as a team. 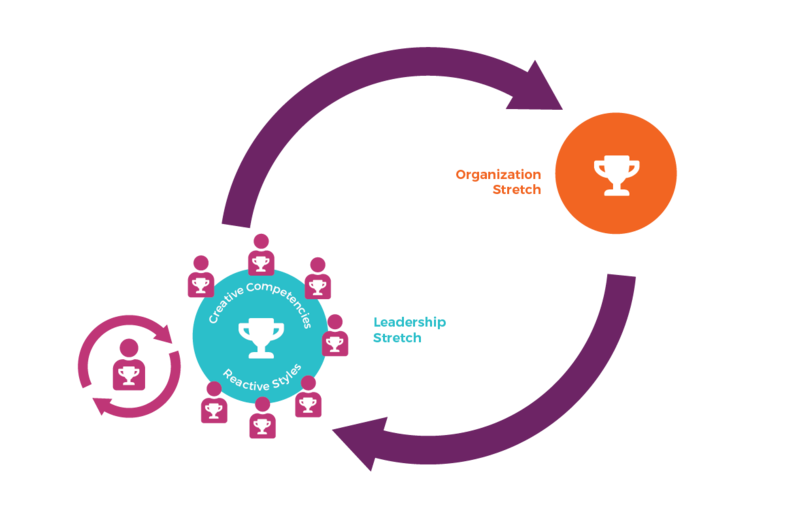 Research has shown teams with greater vulnerability have greater responsiveness and success. Each participant will identify a growth objective and will have the support of a coach as they experiment with new ways of perceiving and leading. Coaching provides a strategic time-out to celebrate, reflect, and grow. Your team will come together regularly to review progress, share successes, and consolidate learning as they collectively deliver your organization’s stretch goals. They’ll coach and have accountability to each other, which deepens trust and helps form new habits and skills more quickly.